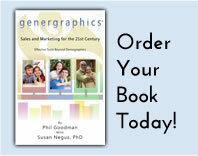 Click on the Genergraphics® story of interest to view full document. Hawaii Business Magazine - "Gen Y. How Boomer Babies are Changing the Workplace"
All Access Music Group - "Genergraphics™ for Radio"
San Diego Union-Tribune article "A question for the ages tests Oceanside"